Is your customer a perfectly pruned boxwood hedge or a billowy field of grasses and flowing flowers? When we’re helping customers design a container garden or a landscape that reflects them and suits their lifestyles, one of the best places to start is by looking at a few key factors that help a ton and are easy to overlook when we’re in a hurry. Do they favor overflowing, unkempt and out of control or perfectly pruned into well-ordered symmetry? Are they dreaming of boundless flora or trimmed to minimal perfection? How about starting your exploration into the customer’s preferences with what that person is wearing? When you take a quick cursory look at the choices your customer made that day like color and style, their wardrobe choices can tell you a lot about that person’s preferences: from what textures they gravitate to, to whether they prefer classic tailored choices in the garden or relaxed casual and free-flowing options. A favorite leather jacket just might translate to a softly textured, weathered, worn-looking pot, while a graphic print top might suggest a trendy, colorful contemporary style in an electric orange metal container. Here are a few questions to think about to get you started on translating your customers’ personal styles to garden sales suggestions. 1. How do they describe their lifestyle? If they live in sneakers and perfectly worn-in T-shirts, chances are they will want their garden to be comfortable, functional and easy to care for. Look for plants and accessories or containers that look better with age and wear, like interesting bark as a plant matures, seasonal berries, softly arching branches, wood or terra cotta containers that age gracefully, and aged metals or things that can be easily washed. If your customer appears to be the type that feels more at home in heels and a pencil skirt, a pure white or gray sleek container might just be the right fit. 2. Did you happen to see their car when they pulled into the parking lot? A customer’s car choice can tell you a ton about their potential tastes. The color, make and model are all ingredients in the interpretation of a customer’s style when they are giving you only vague clues. A Jaguar customer is going to be a vastly different set of questions than someone in a pickup truck! 3. Does your customer prefer bold color or neutrals? The color choices that a customer makes in their outfit or car also tell you a lot about your next logical questions to help you narrow down your sales suggestions. It’s likely that a gambler might put money down on a bet in Las Vegas by making an educated guess that this person in a classic navy and tan outfit might also have a neutral- toned home and favor less adventurous color choices. While the person who came in with the lime green, sporty electric car may be energized by bold, high-contrast color and design options. 4. Classic black might not be as obvious, but it’s just as simple! Using myself as an example, I wear a lot of black. Part of that might be the gray climate of Seattle, but I tend to think of it more like this: I don’t wear any patterns except in certain accessories, and I’m short so if I wear patterns, I have to be very careful that I’m wearing them, and they are not wearing me. So, black is the perfect classical backdrop to me for excellent accessories and shoes. So, if you see a customer wearing a dark monochromatic ensemble, dig a little deeper with your questions. The same can be said about someone required to dress in a certain way for work. They may be dressed conservatively not by choice, and their home may reflect their Bohemian alter ego! 5. Ask them about the style or architecture of their home. Since our home is our most sacred space and where we invest most of our money, the architectural look of a person’s home says a lot about their style. Even if it’s a teardown waiting to be remodeled you can still ask them about the style they have in their future to gain insight into what might trigger their purchases. A classic Tudor might lead you to a parterre rose garden with herbs and topiary whereas a midcentury split level that’s been remodeled to fit today’s more streamlined tastes may want large rectangular gray planters filled with bamboo and polished black rock mulch. 6. Is your customer gnome shopping or scanning for flawless topiary technique? These two customers will need very different help in the garden center. But, what does that variation look like? The topiary customer would likely fit into the frame of the gardener experienced at clipping and like tools options; jargon like espalier may come to them fluently and they understand the investments required of time, skills and money for their passion. The gnome shopper is going to be a radically different departure. They are motivated to buy for completely different reasons. These gardeners buying signals are about pure delight, fun and making memories. They would love to hear your favorite garden pun, tell you all about their crafty use of found objects and wonder which petunia color will best accent their latest creation. 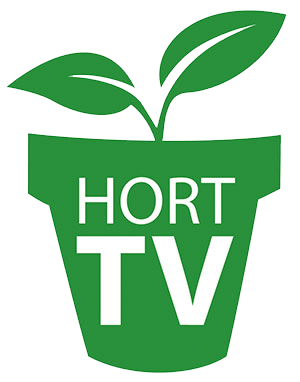 Ask them about special occasions in their garden and offer a plant suited to memorializing a date, a loved one’s favorite colors, or show them how to best feature their gnome family in a unique landscape scene. 7. Are you selling to a customer passionate about ornamedible gardening? This customer cares passionately about organics, all things edible and then making it pretty, in that order. Having the neatest, tidiest garden is not these customers’ top priority, unless they have the perfect and pristine allotment walled off from the deer, rabbits and prying eyes. They understand and promote to everyone why they have the perfect ecosystem and how all landscapes should be “designated wildlife refuges.” They will spend endless trips to the garden center weekend after weekend to come and learn at seminars about “protecting pollinators” “making birdfeeders” and the latest and greatest information about the 28 varieties of kale and heirloom beets available. These optimistic gardeners are all about the positives of gardening. Start talking compost and you have them in the palm of your hand. Ask smart questions to get to know your customers, but first start with getting skilled and making good guesses about where your customers might be coming from style wise and you’re already ahead in sales this year.